Sadly, Halloween is done for another year. Although we didn’t do much to celebrate, Dallas had lots of fun doing tricks for treats last night. And besides, we think the day after Halloween – November 1st – is even more exciting. Why is that? Well, it’s the day that many of HRM’s off-leash sports fields “open” for the season, of course. Golf courses are kind of known for being sticklers. It’s one of the (many) reasons that golf and I never got along very well. 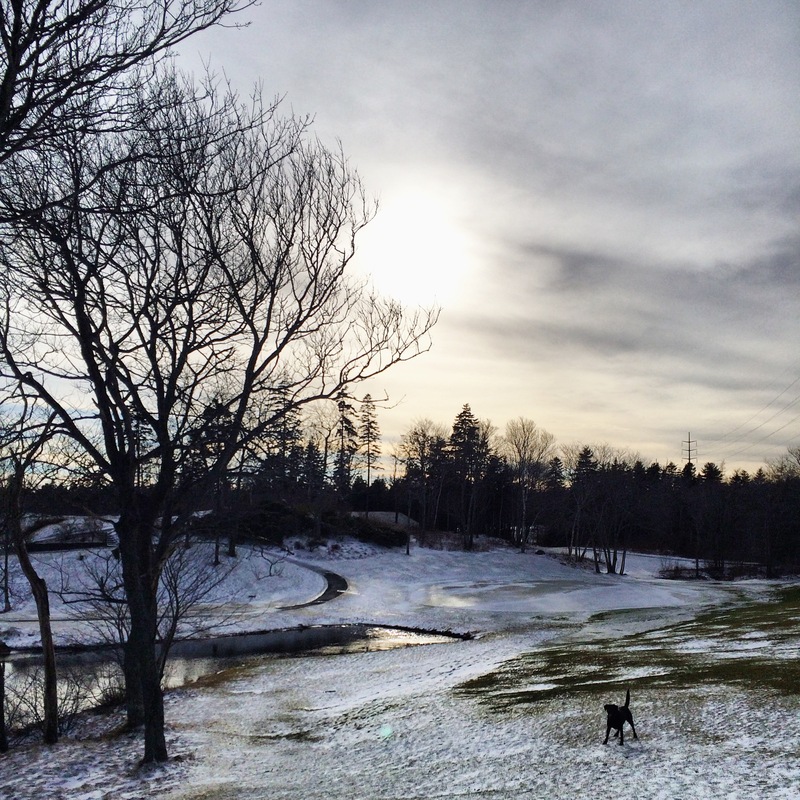 So imagine our surprise when we learned that a golf course right here in Halifax becomes a gloriously dog-friendly playground in the winter. We had to see it to believe it.